When building their log cabins, how did the old pioneers lift and position those very heavy logs? Derricks. Those visiting Garden Ground Mountain had a chance to check them out. A Gin Pole could be placed at a fixed point at each corner, a Boom Derrick could be positioned on two sides, and a large Swing Derrick with an extra long arm could be set up to reach all points of the construction. 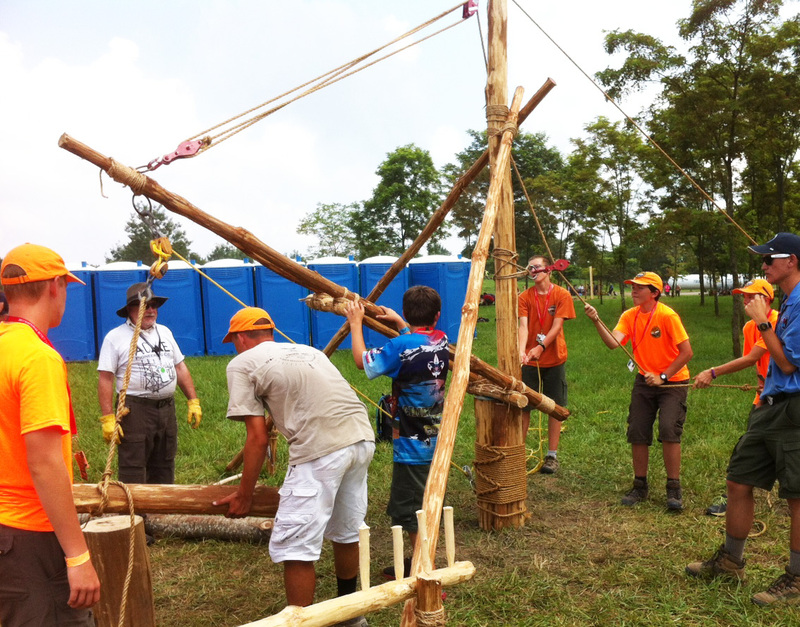 Trying their hands at using these special derricks, like the old time pioneers, Scouts and Venturers could get a feel for lifting and positioning logs to assemble a log structure. 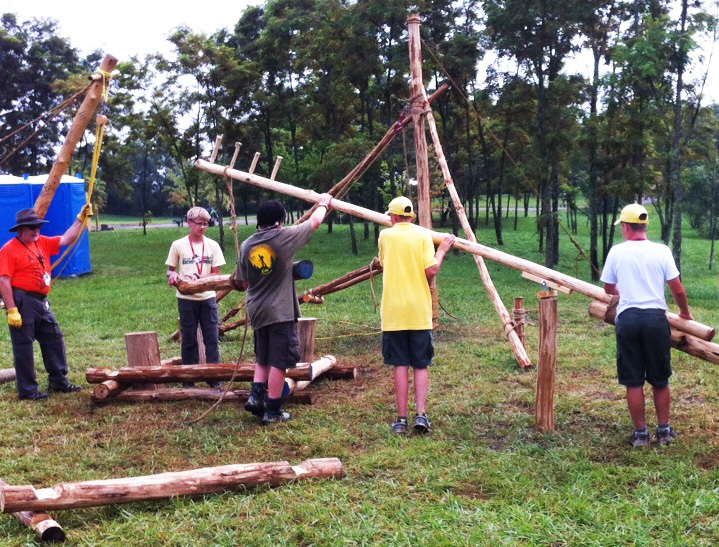 A Boom Derrick could be placed at each corner of the log cabin construction site. Swing Derricks could move a log up, down, to the right, and to the left.